Mahmoud Sarsak is a Palestinian footballer who has played for the Palestinian national team. 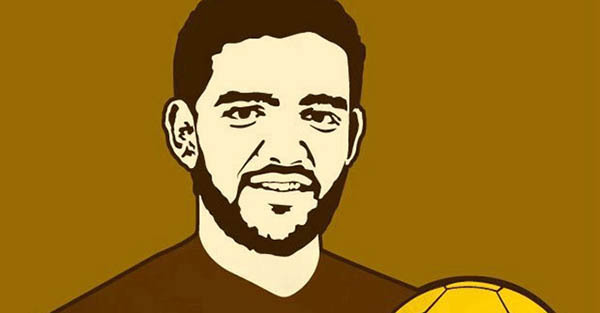 He was released from prison by Israel in July after three years of detention and 92 days of hunger strike that was supported by people of conscience all over the world, including prominent football figures. Activists are staging a rooftop occupation at the headquarters of security multinational G4S near Crawley, West Sussex, in protest at what they claim are “illegal and criminal activities” in both the UK and Palestine/Israel. Early this morning, two activists climbed on top of the multistory building and secured themselves in place using superglue and bike locks. Two banners were seen hanging from the edge of the building.